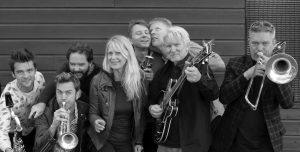 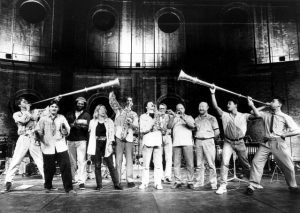 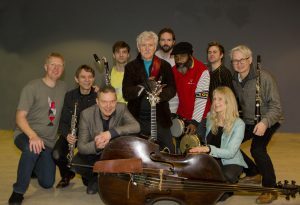 Pierre Dørge & New Jungle Orchestra has been around since 1980 – with some changes in the crew. 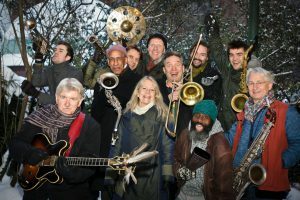 They play worldmusic at the highest level, and they are in a class of their own. 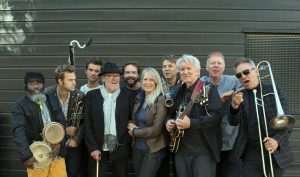 With a mixture of jazz, Asian, African and European music – and general madness – they create their own dadaistic universe, which gives the audience a unique and extraordinary experience.